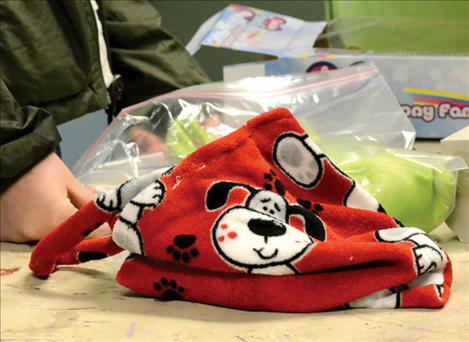 Cozy fleece bags were handmade by 4-H girls for children who, for safety reasons, need to be removed from their homes by protective services. RONAN – Children can experience scary stuff that goes way beyond visions of monsters under their beds. These scary things often require police involvement. 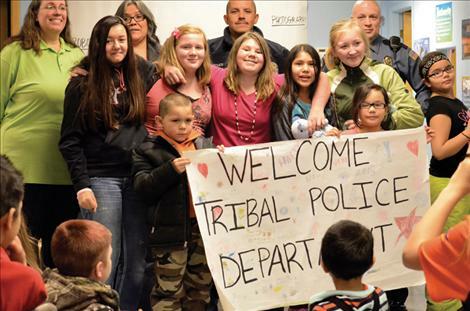 “Usually when we are involved it’s because of drug activity or violence, and sometimes children are involved,” said Confederated Salish and Kootenai Police Captain Louis J. Fiddler. 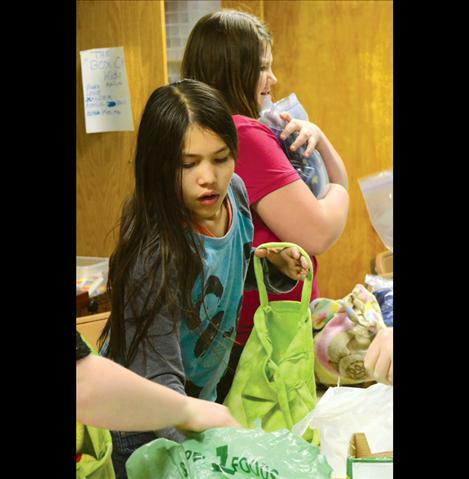 Five girls with the Flathead Reservation 4-H group teamed up with tribal police officers to help children face the trauma of being removed from their homes. Those girls include Alex Loughlin, 12; Alyssa Mock, 11; Autumn Chee, 11; Taylor Jackson, 12; and Justice Quequesah, 11. The girls placed several toys into 12 handmade fleece bags. Police officers store those bags in the trunks of their patrol cars. Bubbles are one of the items in the bags. Richey said a mentoring grant paid for the project. She explained that she stepped back from the project and let the girls take charge. The girls needed to learn sewing skills before they put the bags together. Volunteer Geri Hall brought her sewing machine to the club and worked with the girls. “Each (girl) excelled at sewing,” she said. 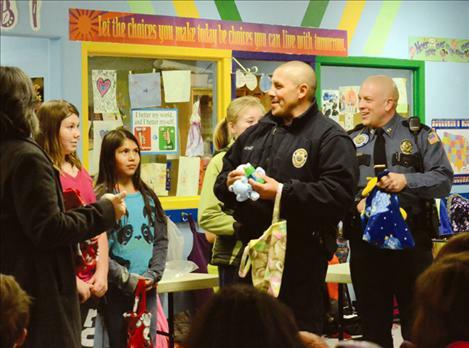 At the Boys and Girls Club on Friday, the girls each gave a speech in front of a packed room before they presented the bags to the officers. Police officer T.J. Haynes said it’s never easy to remove a child from a home. As a foster parent, Haynes has helped many children work through trauma. Haynes became a foster parent 18 years ago when his wife, a teacher, suggested taking in a couple students needing a home. Haynes said they’ve taken in about 100 kids over the years. 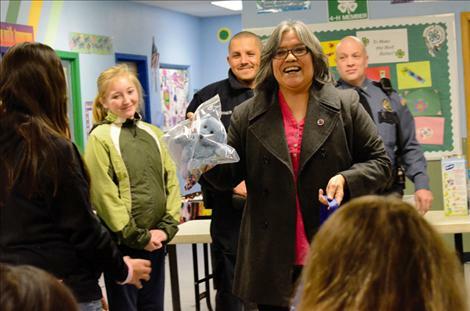 Tribal Councilmember Patty Stevens noted that Haynes is the Police Officer of the Year for Montana. “He is a really good guy,” she said. Stevens explained to the girls that their project was important enough to pull her away from a meeting with Governor Steve Bullock. Richey thanked the officers for attending the event. “I hope it takes a long time to run out,” she said of the bags adding that the club plans to make more if needed.